Every major networking vendor is busy promoting its own (usually proprietary) Data Center Fabric. While they're debating the architectures and proprietary nature of competitors' offerings, and solving dubious problems like large-scale bridging with pre-standard implementations, the data center users still face the problem succinctly expressed by James Hamilton: "Data Center Networks are in my Way". It turns out we don't need rocket-science data center fabric solutions to solve that problem - it's possible to build large all-point-equidistant networks with no constraints on workload placement with existing gear from numerous vendors using decades-old Clos architectures. 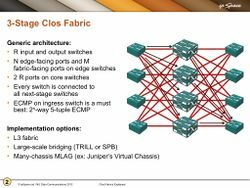 The Leaf-and-Spine Fabric Architectures webinar describes the Clos architecture concepts used to build leaf-and-spine architectures, and single- and multistage designs that can be used to build large layer-2 or layer-3 all-point-equidistant Data Center networks. 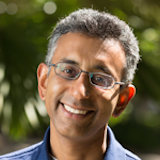 The second part of this section is a presentation from Dinesh Dutt (Cumulus Networks) describing BGP over unnumbered interfaces and other features added to Cumulus Linux to simplify leaf-and-spine fabric deployments. In the guest presentation Dinesh Dutt describes the Redistribute ARP feature of Cumulus Linux and some large-scale virtualization scenarios in which hosts participate in the fabric routing. In the second part of this session Roger Lapuh (Avaya) describes the technical details of Shortest Path Bridging (SPB), its implementation in Avaya Fabric, and explain how SPB increases network resiliency and simplifies Data Center consolidations and migrations. Layer-3-only fabrics implemented with routed core or overlay transport. In the guest presentation Lukas Krattiger (Cisco Systems) describes the EVPN control plane, its use with VXLAN overlays, and Cisco’s implementation of EVPN with VXLAN. As Data Center network designs are evolving and moving to overlays, the traditional hierarchies are fading. In this part of the webinar we will discuss how the Multi-Pod and Multi-Site concepts address this shift and which is best suited for what purpose; is it the blunt stretch of a broadcast domain or the hierarchical separation of network domains. We will take a deeper look at the concepts, touch on the insides and the mechanics of the Multi-Pod and Multi-Site fabrics, and explore the implications to the underlaying transport network. This webinar is the best datacenter underlay reference out there. It clarifies many concepts and clears misconceptions. Now only it helped me to understand simple leaf-and-spine topologies, but also more complex CLOS multi-stage designs. This webinar is my primary source of inspiration when I write about modern datacenter underlays. I thoroughly recommend it. Antonio Sanchez-Monge. @virtualhops. I like the level of depth and practical information in your webinars. Thanks! Hello, the session was about layer 2 fabrics. I work at a higher level of the stack, so it was a real eye opener specially with so much opinionated "myths?" on the web that haven't been critically challenged such as STP. Really interesting. There was some good information on EVPN and VXLAN topologies, especially at a theoretical level, but unfortunately it has lacked a lot of concrete examples and explanations. Compared to the sessions with other speakers, it lacked a lot of additional information to make me properly grasp some of the concepts. As an example, the symmetric IRB was explained for L3 traffic but not for L2 traffic, there were no configuration examples with full traffic flow explanations. I kept waiting for the moment where it would actually get into such a concrete example, like we are usually accustomed to. All of the other sessions so far have been great and it is unfortunate that this one is the first one that really left me hanging, which in a way also praises all the past ones. Unfortunate for this one, but does not bring down the overall value of all sessions. Very nice, a good place to ask questions. I enjoyed the simple, concise explanations of the technology and various options. It's made even better by being able to ask questions. Most of the deployment scenarios are covered in this webinar.This gives an excellent overall picture of leaf-and-spine architectures.I would recommend this webinar even for Engineers working on Data center technologies.I couldn't find any other resource on internet going such a depth in this area. Great as it covers all the different fabric L+S usecases. Its good to have someone who is methodical leading the sessions and I appreciate not having to listen to bluster and grandiose conjectures. I like hearing the facts and counter-facts. More in-depth technical design for CLOS technology components i.e. OSPF ECMP and redundant, multi-vlan L3 access (Leaf) design would be great as most datacentre deployments require this. It is great to have this kind of independent top quality content available to browse and watch. This is the place to be and I will renew year after year. Antonio Sanchez-Monge. @virtualhops. it would be great if you explain different between TRILL, FabricPath, QFabric, etc in detail. Anyway. See (hear) you tomorrow for the next session. 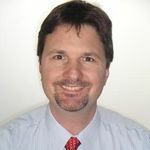 Brad Hedlund (CCIE #5530) has been designing and deploying IP networks and data centers since 1996, with experience in various roles as a customer, consultant, and vendor. Brad was with Cisco for 6 years focused on data center switching (Nexus) and computing (UCS), worked on infrastructure solutions for Big Data (Hadoop) and open source private cloud (OpenStack) with Dell, and designed and implemented NSX-based solutions with VMware. 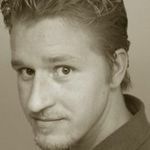 In his spare time, Brad maintains a popular blog with topics on data center networking, virtualization, and computing. Lukas Krattiger, CCIE No. 21921 (Routing and Switching/Data Center), is a Principal Technical Marketing Engineer (PTME) with more than 18 years of experience in Data Center-, Internet- and Application-Networks. Within the Cisco Enterprise Infrastructure and Solutions Group (EISG), he specializes in Data Center switching architectures and solutions across platforms. 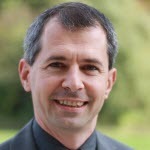 Lukas is a double-CCIE (R&S, Data Center) with several other industry certifications and has participated in various technology leadership and advisory groups. This webinar is ideal for architects and designers that have to look behind the vendor marketectures and build large-scale solutions that meet their business and operational requirements.